Posted	 October 1, 2017 by	Sikh Dharma International & filed under Music, Shabad Guru, Sikh Dharma Technology, Siri Singh Sahib Ji. 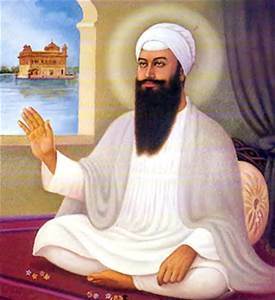 The Narayan Shabad was composed by the fifth Sikh Master, Guru Arjan. Narayan is one of the many different names for the Divine. It relates to the quality of water. As a plant needs water for its flowers to blossom, in the same way chanting Narayan nurtures the Divine Identity within you so that your soul can bloom into its full beauty and grace. Narayan is the quality that restores. It allows life to become fresh, lush and green again. Narayan also can defend against death. It is said in the Siri Guru Granth Sahib that when Narayan is chanted, death cannot approach. Chanting this Shabad restores what has been lost. It brings forth abundance and life. It protects against the power of death.